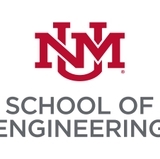 The University of New Mexico School of Architecture & Planning hosts an open house on Saturday, Nov. 15 from 11 a.m. to 3 p.m. at George Pearl Hall, 2401 Central Ave. NE on the corner of Cornell and Central on the UNM campus. 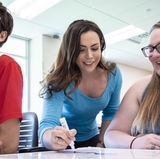 The open house is an opportunity for interested individuals to learn about undergraduate and graduate degrees in architecture, community and regional planning and landscape architecture. "Current students and faculty will be available to discuss the curriculum and culture of the school, as well as offer tours of the building and fabrication facilities," said Geraldine Forbes Isais, dean of the school. Prospective graduate students can RSVP to Beth Rowe, erowe@unm.edu; prospective undergraduate students can RSVP to Lois Kennedy, loisk@unm.edu.